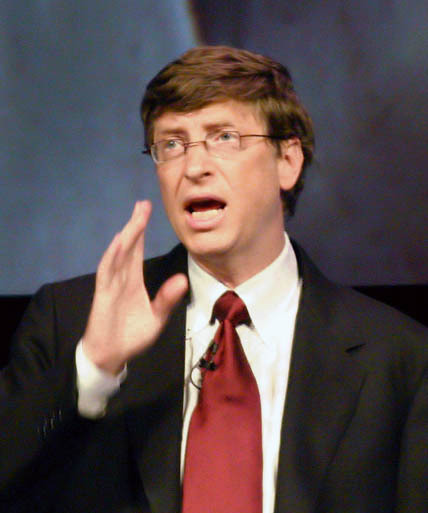 The New York Times reports that Bill Gates and his peers have been urging legislators to provide a greater number of visas for temporary foreigners and permanent immigrants. Google spokespeople told the NYT that this will be necessary to remain competitive in an increasingly competitive "knowledge-based economy". This, of course, would only affect the smaller percentage of highly-skilled workers relative to the larger number of unskilled laborers who want to immigrate to the United States. These high-tech execs should be finding a way to finance the education of more American scientists and engineers at all levels, especially the PhD level, instead of undercutting our domestic high-tech labor force. What are they thinking? I think I know -- cheap labor, cheap labor, cheap labor. How many of them are advertising in the publications of science and engineering journals and publications offering at least the median salary of workers in each field? are high-skilled workers ever "cheap labor"? The reason they want foreign H1b workers is not just because they are cheap, but because they fear being sent home. My husband, who works in the software industry, had a manager who would brag about all the extra hours he could make the H1bers work because they were afraid of losing their jobs and thus, their reason for residency.